Here is my replacement Vocho following my accident in 2004 (see entry number 15). 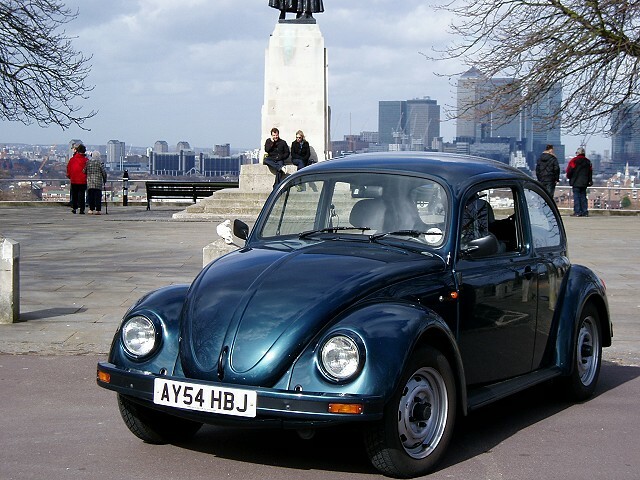 I am the first registered owner of this VW having purchased it in January 2005. I purchased the car from Apple 2000 - the UK importer who bought the vehicle from VW dealer BC Autos of Puebla. I assume it was manufactured during the final year of Sedan production - 2003. The picture was taken outside Greenwich Royal Observatory here in London. No problems to report after over 50,000 km and regular checks with Vagcom. However, I would like to check fuel pressure and would like to know what kind of tester everyone is using. Also, I have used the lastest method to set ignition timing (as detailed on the site) and can say it works. I have also made a Vagcom log of the whole process that I will send to you soon. Thanks for all the helpful information on the site.